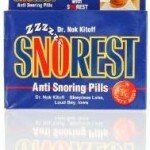 SnorEase anti snoring pills claim to help open the sinus passages which allow the person to breathe easier. 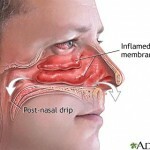 They also works relieve congestion which is definitely one of the main causes of nasal snoring. They also inhibit histamine production, breaks down mucous and, probably the best part of them is, that they are fully natural and thus supposed to have no side effects or dangers for health. 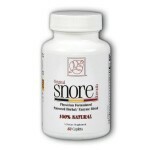 How does SnorEase target snoring? Were there any tests / trials? 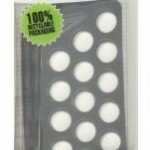 For whatever snoring solutions it is important to look if there have been any tests or trials. 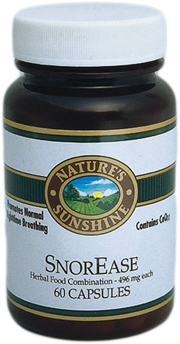 In my research I found 1 mention of tests carried out for SnorEase where the results indicated 84% participant approval for reduction in snoring. However, since no details or source of funding were given I would think this is dubious advertising. 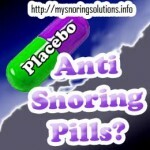 Are there any anti snoring pills forum discussions on SnorEase? The problem is that all of these comments were on the forum of Nature’s Sunshine, which I find to be a bit of a problem because they are the ones selling the product. On the other hand I did find negative comments on Yahoo Answers on these anti snoring pills from someone asking “…I tried the SnorEase… it made my throat swell…” which sounds like an allergic reaction, so perhaps is specific to this person. 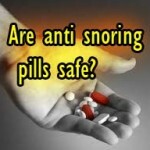 I hope this review article was helpful to you and I must say that from what I have read / researched I think there is too much fake advertising for SnorEase and since there are no positive feedback or reviews on reputable websites then I would recommend people not to use these anti snoring pills and instead look for other snoring solutions.